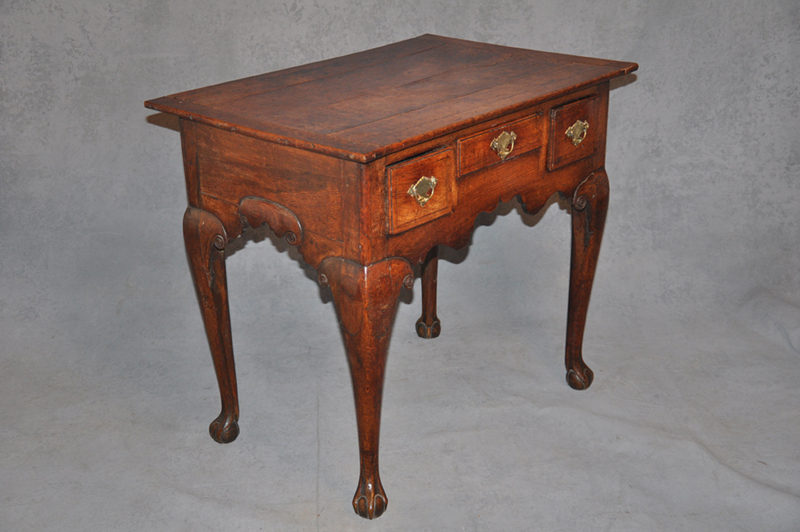 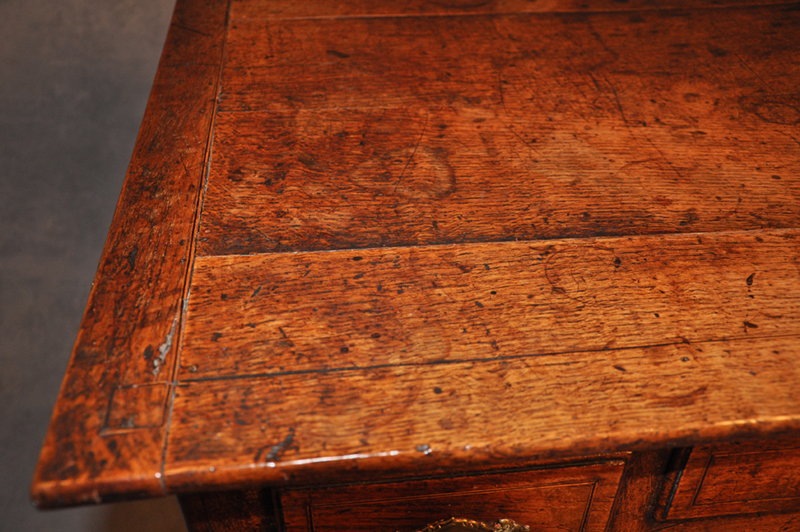 A rare early 18th century country lowboy of particularly interesting design possibly Welsh. 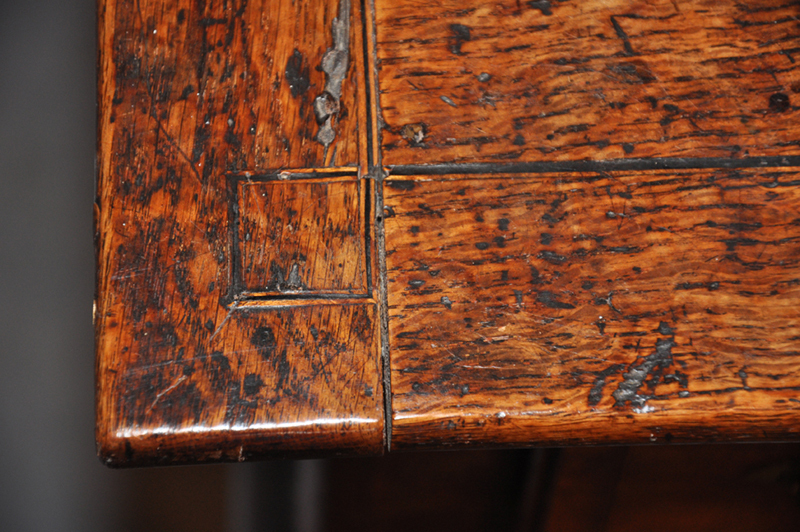 Having a scrolled top to the leg in the shape of a rams head, the leg terminates in a claw and ball foot carved in an unorthodox manner but nicely executed. 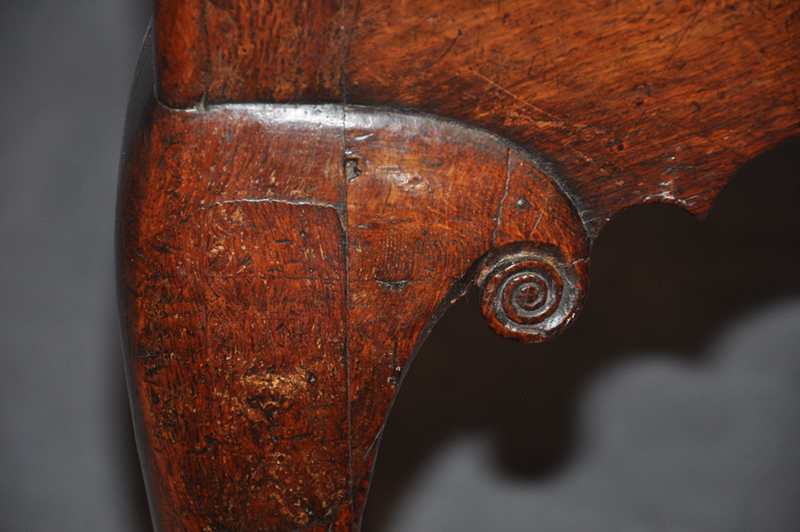 The ends have a most unusual applied section to the centre of the freeze again forming a rams head design. 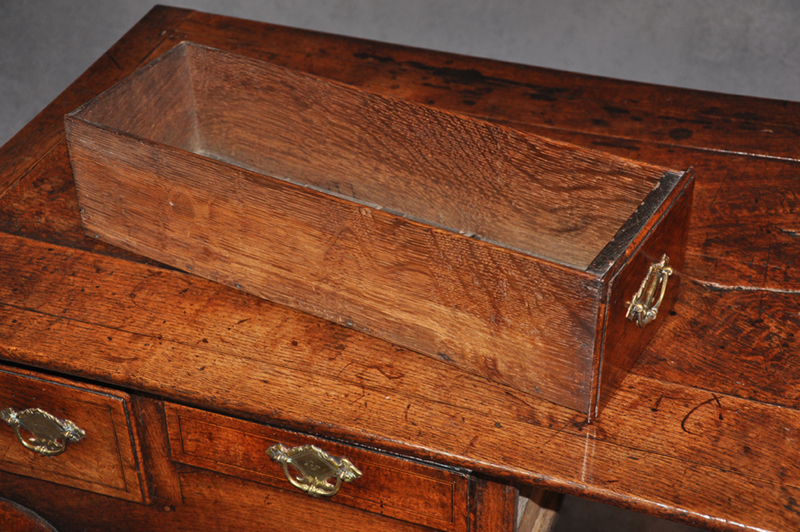 The cleated top is superb with matched figured oak boards and inlaid with a fine black and white stringing. 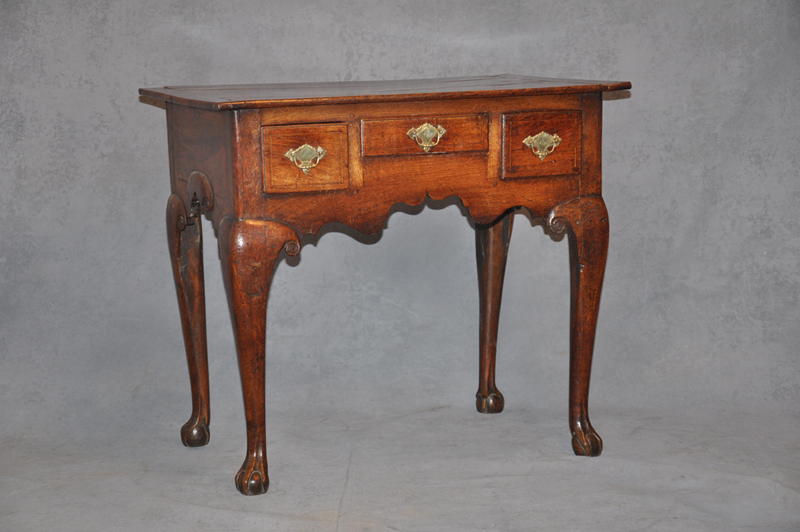 We think the Lowboy is a wonderful piece of country Furniture at its best. 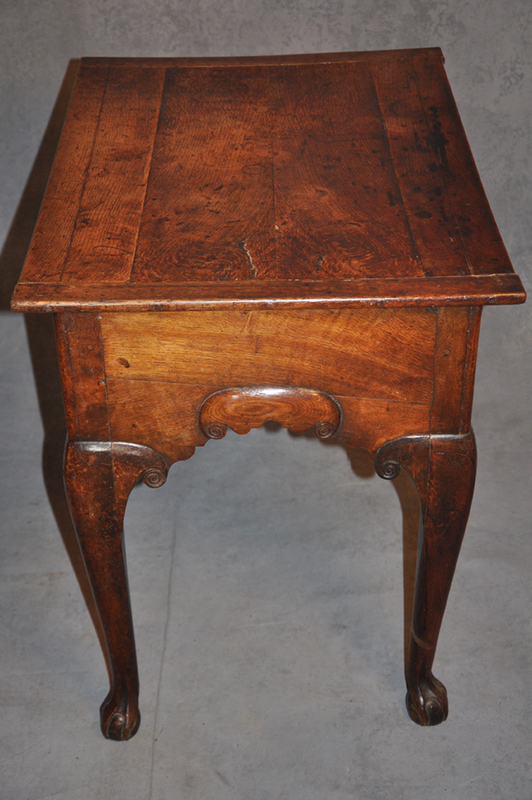 The colour is excellent, it is in very good original condition apart from the handles that were replaced in keeping with the period.